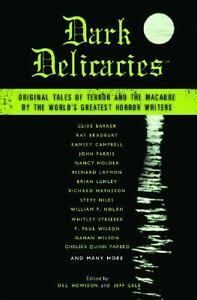 We have 5 copies of DARK DELICACIES: Original Tales of Terror and the Macabre by the World’s Greatest Horror Writers. The book includes original horror fiction by Clive Barker, Ray Bradbury, Richard Matheson, Ramsey Campbell, Nancy Holder, Richard Laymon, Brian Lumley, Joe Lansdale, Whitley Streiber, F. Paul Wilson, and Chelsea Quinn Yarboro, co-edited by Del Howison (owner of the bookstore Dark Delicacies) and Jeff Gelb (published in 2005). So, what makes our copies unique? The store held a mass signing when the book was released. Almost every author in the book signed on the title page. Among the many who signed are Richard Matheson and Clive Barker (Ray Bradbury did NOT sign). We are selling this truly unique collectible for $200 and we have just 5 copies. We will take orders on a first-ordered, first-served basis. If you are one of those ordering too late for the two copies Bradbury signed, but still want the $200 copy please mention so in the Comment’s section when you order. The books will ship next week. 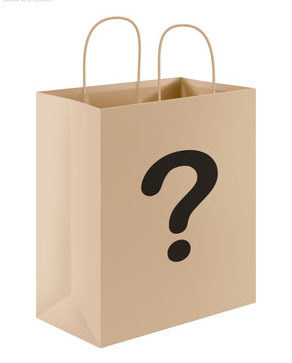 We ship on a first-ordered, first-shipped basis.